NEW YORK, April 3, 2017 – The Philadelphia 76ers’ Dario Saric and the Sacramento Kings’ Buddy Hield today were named the Kia NBA Eastern and Western Conference Rookies of the Month, respectively, for games played in March. Saric, the 12th pick in NBA Draft 2014 presented by State Farm, earned the Eastern Conference honor for the second month in a row. In March, Saric led all rookies in scoring (18.4 ppg), field goals made (115) and free throws made (54). He also ranked second in rebounding (7.0 rpg), third in three-pointers made (28) and fourth in assists (3.4 apg). The 22-year-old forward from Croatia scored at least 20 points in seven of 17 games and recorded two point-rebound double-doubles. On March 24, Saric scored a career-high 32 points and grabbed 10 rebounds in Philadelphia’s 117-107 road victory over the Chicago Bulls. Hield was also named the Kia NBA Western Conference Player of the Month for December, when he played with the New Orleans Pelicans. Acquired by Sacramento in a trade with New Orleans on Feb. 20, Hield led West rookies in scoring in March with 14.1 points per game. The 23-year-old guard from the Bahamas made a rookie-high 37 three-pointers and averaged 4.1 rebounds for the month. Hield, the sixth pick in NBA Draft 2016 presented by State Farm, shot 48.3 percent from the field, 42.5 percent from three-point range (third among all rookies) and 84.0 percent from the free throw line (second among West rookies). March 3 vs. New York: Recorded 21 points, 10 rebounds and four assists in a 105-102 win over the Knicks. March 12 @ L.A. Lakers: Posted 29 points, seven rebounds, five assists and two steals in a 118-116 victory over the Lakers. March 19 vs. Boston: Finished with 23 points, six rebounds, four assists and two steals in a 105-99 win against the Celtics. March 13 vs. Orlando: Registered 17 points, six rebounds, two assists and two steals in a 120-115 victory against the Magic. March 24 @ Golden State: Set career highs with 22 points, eight rebounds and seven assists in a 114-100 loss to the Warriors. March 26 @ LA Clippers: Scored 15 points and grabbed seven rebounds in a 98-97 win over the Clippers. 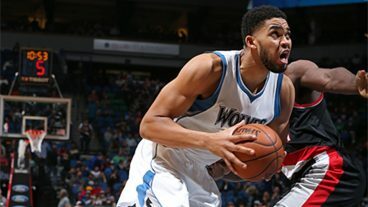 Other nominees for the Kia NBA Eastern and Western Conference Rookies of the Month were Boston’s Jaylen Brown, Brooklyn’s Caris LeVert and Isaiah Whitehead, Denver’s Jamal Murray, the Los Angeles Lakers’ Brandon Ingram and Ivica Zubac, Miami’s Rodney McGruder, Milwaukee’s Malcolm Brogdon, New York’s Willy Hernangomez, Phoenix’s Marquese Chriss and Tyler Ulis, and Sacramento’s Skal Labissiere.